Jodie and Sally met in 2007, and were inspired to create elegant simple and quality rugs which they could not find for their own homes. What they couldn’t find, they decided to make, founding Armadillo & Co to fill this niche. With their flagship store opening in Beverly Hills, Los Angeles, these women are not only breaking ground in the interior design and furnishing industry but also leaving an ethical footprint behind them. Jodie Fried who lives in Venice Beach. Tell us a bit about your first trip to India. Had you frequented it on vacation previously and were inspired? Did you stumble across the artisans you would then form lasting relationships with for Armadillo & Co? Jodie: Many moons ago, I was given the opportunity to work with a traditional dance company in India as a costume designer for three months, which quickly turned into three years. I developed a deep love for the country and its people. It was while helping to rebuild rural villages along the Pakistani border after a devastating earthquake that I came across traditional artisans and their ancient craftsmanship. Meeting these incredible craftspeople, along with my passion for textiles and design, inspired me to start a business which would provide them with sustainable income as well as creating beautiful products along the way. We adore your rugs, not only because they’re beautiful but because of the story behind them. Why did you choose to establish a business that is fair trade and socially responsible? Sally: Social responsibility has been at the core of our business from the very beginning. We know many of our artisans and ensure they are paid fair wages. We also provide funding to a local primary school so their children can receive an education. Every purchase of one of our rugs goes towards paying for the teacher salaries, uniforms, textbooks, utilities and regular health checks. We also have plans to build two more classrooms and establish scholarships to encourage more girls to go on to secondary schooling. We believe it’s important to remain as committed to giving back as we are to making beautiful products. Sally Pottharst with one of the artisans. Do you have a favourite hotel in India when you visit? Sally: We love staying at The House of MG (https://houseofmg.com), a beautiful boutique hotel (which was the original home of the Mangaldas) with old-world charm located in the UNESCO World Heritage city of Ahmedabad. The spacious traditional rooms are decorated with exquisite clay hand painted floor tiles and are fitted out with handmade Gujarati furniture and fixtures sourced from local artisans – think four poster beds, delicate local fabrics and incredible swinging chairs. The hotel also boasts a rooftop terrace restaurant where you can indulge in traditional Gujarati thalis, and there are locals who provide walking tours through the historic and beautiful old city. How do you manage living in separate countries and running a business together? Lots of travel? Lots of Skype? Jodie: I’ve lived in Venice Beach, Los Angeles for the last ten years with my young family, while Sally is based in Adelaide, Australia. Sally and I have a very close relationship which makes it easy to communicate as we almost can finish each other’s sentences and thoughts. It is a very compatible and respectful relationship as we have very different sets of skills but the same vision. Our team is now spread to all corners of the globe, so it means we spend many hours on Skype and in the air flying between Australia, the US, India and France. Jodie, you’re an Aussie living in LA. Where do you workout, grab coffee and shop in LA? 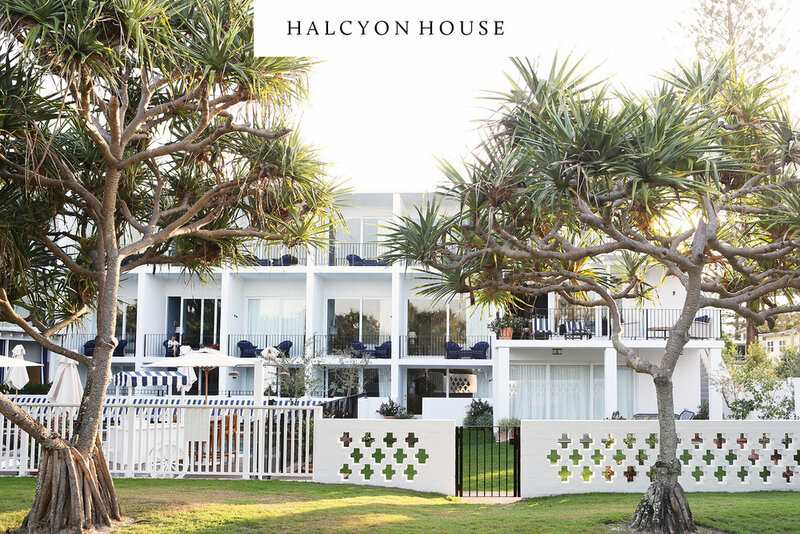 Jodie: I’m lucky to live so close to the beach where I can indulge in a surf or swim most days, along with local pilates classes when there is no surf! The place I love for coffee right now in Venice is Gjusta (http://www.gjusta.com) on Sunset Ave. They have great coffees but it’s hard to go past their famous green smoothies and all their incredible food. For shopping, my go-to is General Store (https://shop-generalstore.com) on Lincoln Blvd. They have an impeccable curation of ceramics, indigo mud cloths, vintage Levi’s and second-hand books, and the shop itself makes you feel like you’re in someone’s home. I also love supporting local artists and makers. An artisan during the handmade process. Sally, you were born in Zimbabwe, schooled in South Africa and now living in Adelaide. What are your secret spots in Adelaide? Sally: Osteria Oggi (http://osteriaoggi.com.au) is the perfect place for a lunch date. They’re known for creating nourishing share plates using local, seasonal produce and their pasta is made in-house daily. The interior is divine, with cobblestoned floors, an indoor piazza and a hanging garden. Once a week I hit the Adelaide Central Market (http://www.adelaidecentralmarket.com.au) to stock up on fresh fruit, vegies, bread and deli food, it has such a great atmosphere and is a real institution with stalls and stalls of merchants selling their wares for the last 140 years. I always love a visit to the Art Gallery of South Australia (http://www.artgallery.sa.gov.au) on North Terrace for an inspiration. They have a rich collection of paintings, sculptures, textiles and ceramics from all around the world. Another unique cultural experience which I love is the 4-day WOMADelaide Festival (https://www.womadelaide.com.au), which is held in Botanic Park and is a feast of music, art, dance and food. Armadillo & Co has influences coming in from all over the world, LA, Australia, India, Africa. You ladies must have travel down to a fine art. Can you divulge your packing essentials? Jodie: We’ve both learnt to become really smart travellers. I limit my carry on to one shoulder bag, always pack a lightweight scarf for the trip which can be used in so many ways, as well as some essential oils to help me relax and rejuvenate. I always drink loads of water, pack my own snacks and I tend to take a real book (with actual paper pages) which is a great way to give my brain and eyes a rest from technology. Do you have a particular rug you’re crushing on at the moment from your collection? (We love them all). 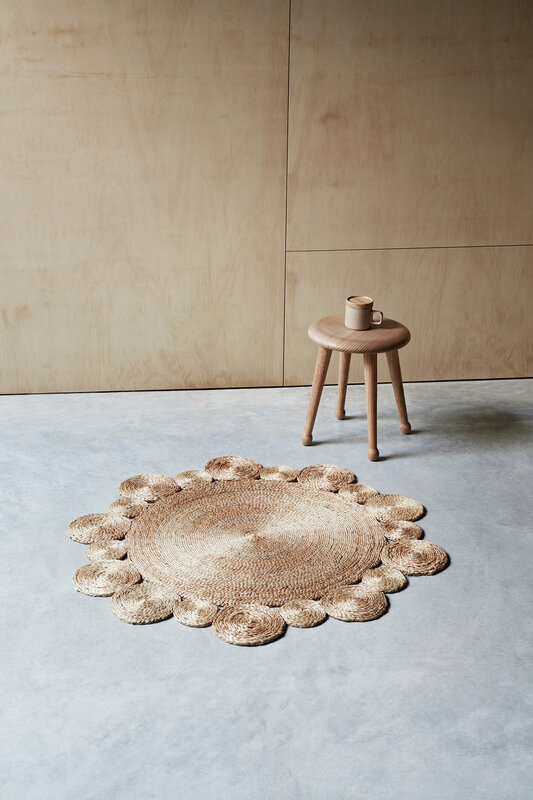 Jodie: I’m coveting our Agra Knot rug in Duchess (https://armadillo-co.com/product/new-arrivals/agra-knot). It is timelessly elegant and reflects the light beautifully, not to mention how amazing this feels under foot! 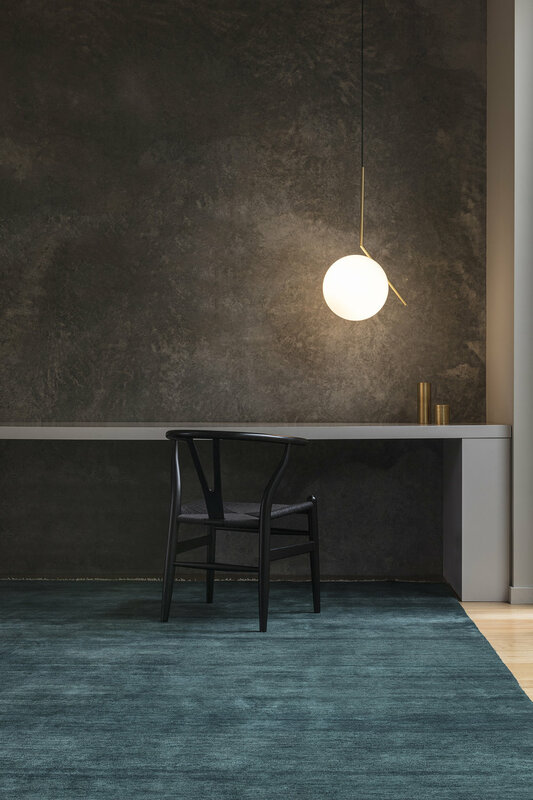 Sally: I’ve always loved our clean and classic Atlas rug in Natural (https://armadillo-co.com/product/aco-collection/latitude-collection/atlas)– it’s such an easy going option for modern living. To see more of Armadillo & Co's collection or read about their story visit their website.